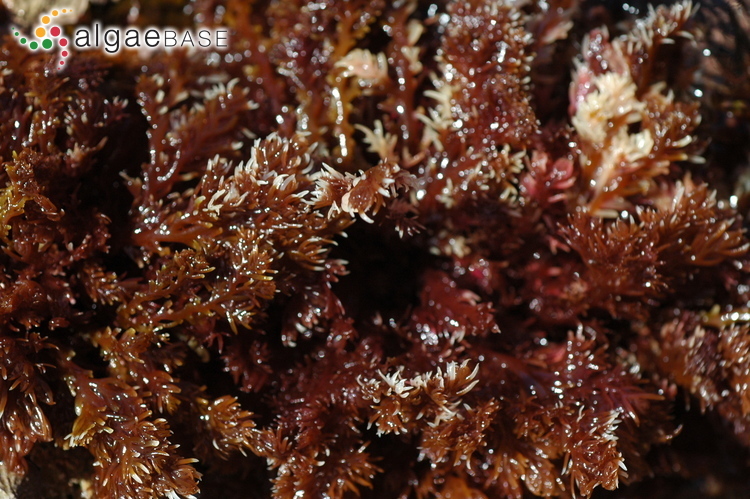 Buffels Bay, Cape Peninsula Reserve, Western Cape, South Africa; on rocks at low water; with tip damage. 07 Oct 2005. Michael Guiry. © Michael Guiry (mike.guiry@nuigalway.ie). Published in: Harvey, W.H. (1849). 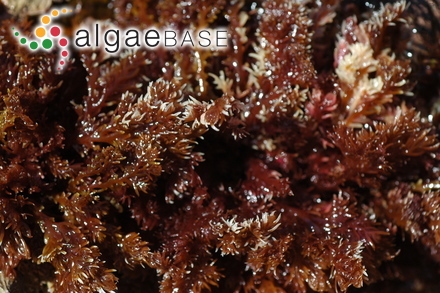 Nereis australis, or algae of the southern ocean: being figures and descriptions of marine plants, collected on the shores of the Cape of Good Hope, the extra-tropical Australian colonies, Tasmania, New Zealand, and the Antarctic regions; deposited in the Herbarium of the Dublin University. [Part 2]. pp. 65-124 [ends abruptly], pls XXVI-L. London: Reeve Brothers. Type locality: Cape of Good Hope, South Africa (Turner 1811-1819: 152). Type: Mr Burchell; BM? Accesses: This record has been accessed by users 1231 times since it was created.